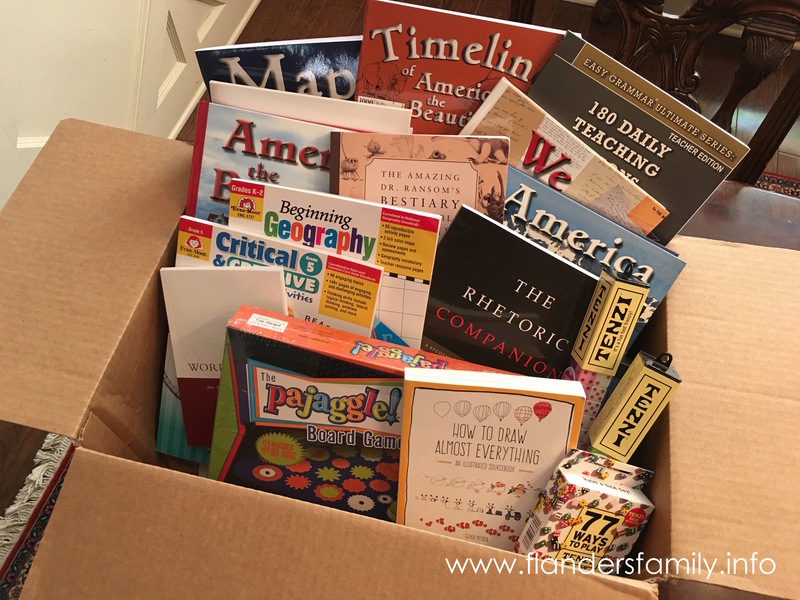 Between our recent road trip, starting back to school, and our upcoming move, I’ve fallen behind on reviewing the curriculum and other amazing products Timberdoodle sent me earlier this summer, so I’ll be playing catch-up on the blog this week with three back-to-back reviews. 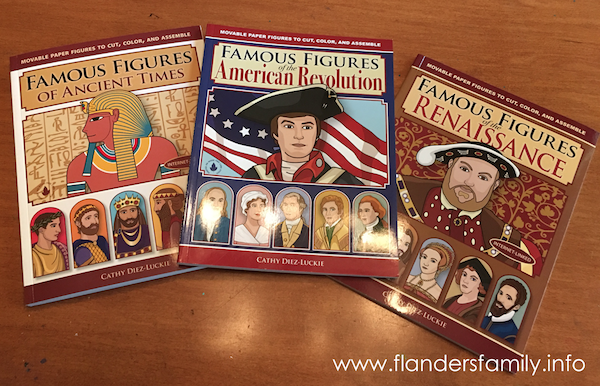 First up, we have a delightful set of activity books featuring Famous Figures of History. 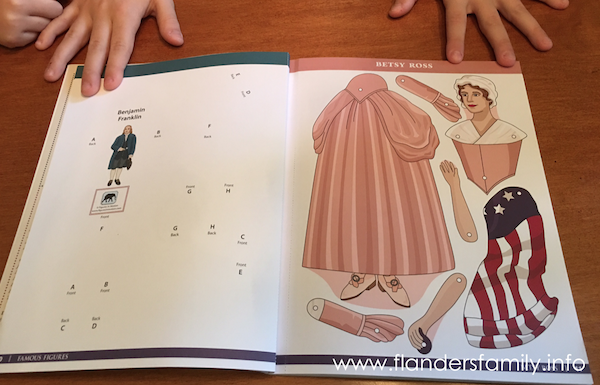 And the book includes a short biographical description of each figure, perfect for reading aloud as your children craft. 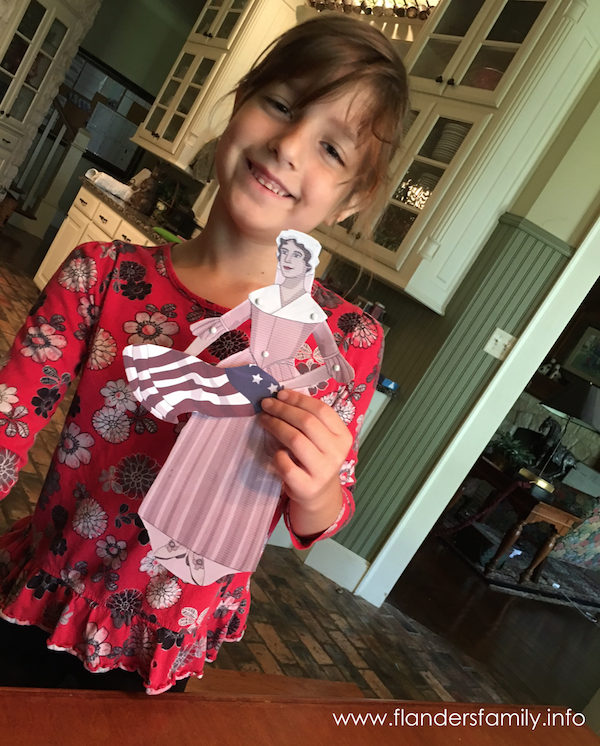 … as well as Betsy Ross, Molly Pitcher, and a Continental soldier. 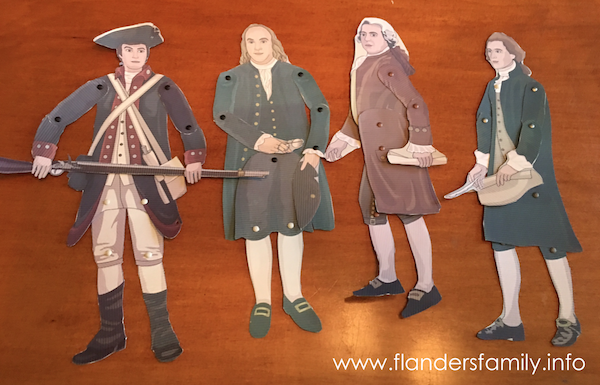 We still have George Washington, Patrick Henry, Paul Revere, Molly Pitcher, and all the black-line masters left to do. 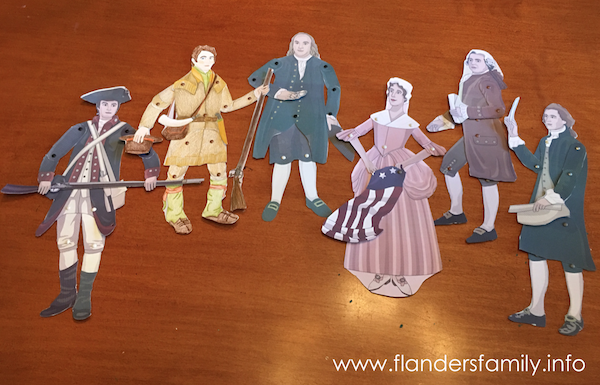 I’m thinking I should mount the finished figures to sticks and let the kids put on a puppet show based on what we’ve been studying in our history lessons. I was planning on saving the other titles in this series until we moved on to those time periods in school, but my kids have no intention of waiting that long. 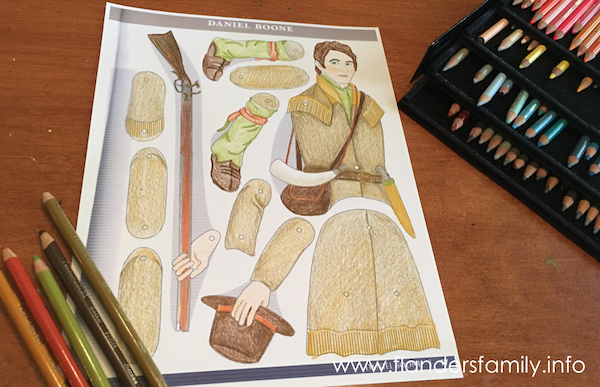 As soon as they finished making the figures in the first book, they were perusing the others, deciding which they wanted to do next. 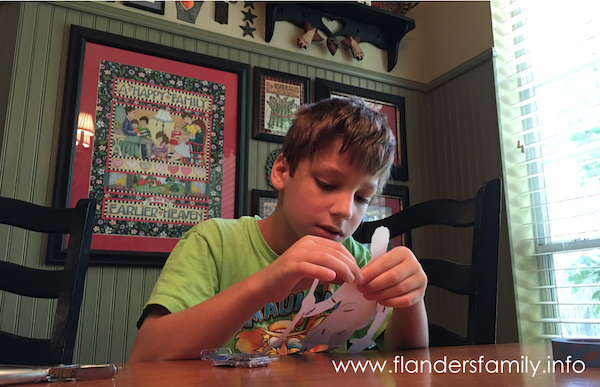 They’re planning to start tomorrow, once they’re done with all their other schoolwork. 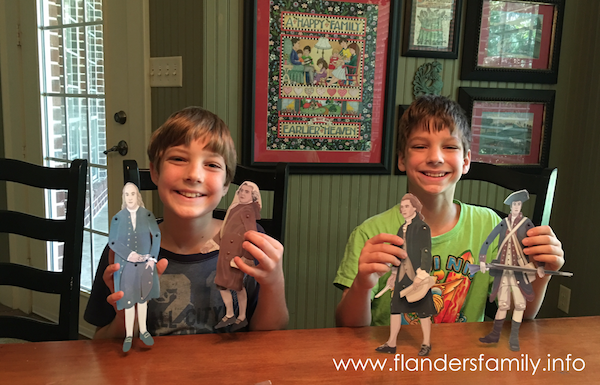 Famous Figures of Ancient Times is part of Timberdoodle’s 1st Grade Kit. 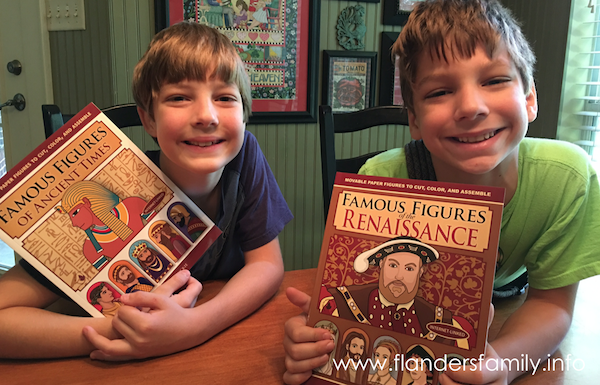 Famous Figures of of the Renaissance is part of their 2nd Grade Kit. 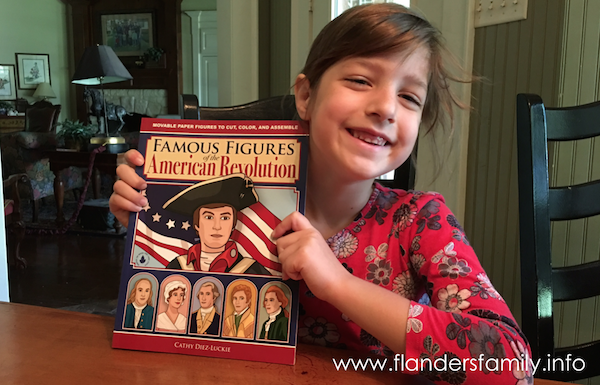 Famous Figures of the American Revolution is part of the 3rd Grade Kit.